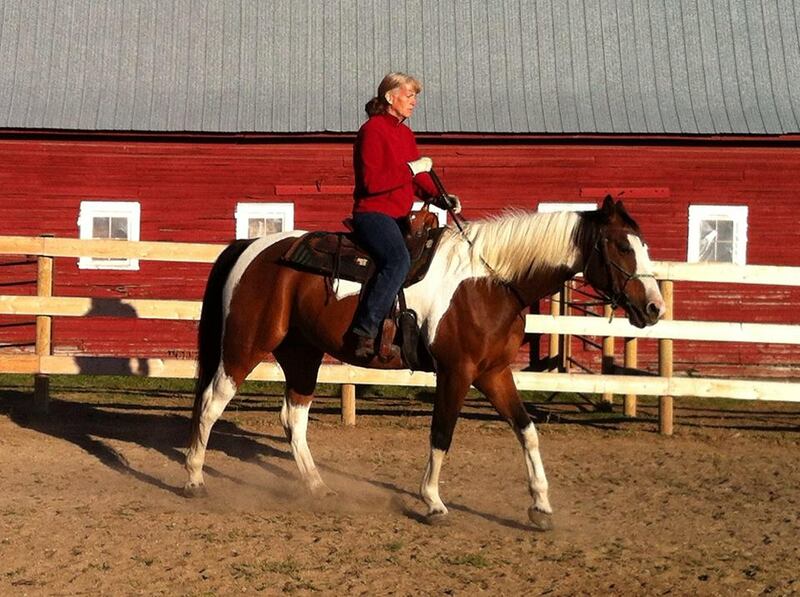 Per week: $250 (includes all feed, horse is worked 7 days a week, minimum of once a day, maximum twice a day). Per month: $1000 (same as above). 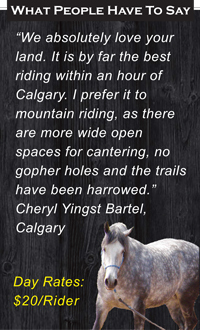 All “horse starting/riding packages” come with min. weekly lessons included in price. 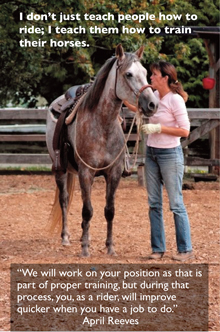 I won’t train a horse unless the owner is willing to participate. Owners with horses in for groundwork are encouraged to participate. April we are so happy with Essex’s progress. Thank to your consistent work with him, after only two and a half months he has an excellent foundation which will carry him onto the next level and the next level. We appreciate your patience in working through his issues and THANK YOU for all the hours in lessons with Danielle. She is delighted with her new horse.